Enter your email below to get the latest updates on Tec.BEAN products... and 30% off your next purchase. 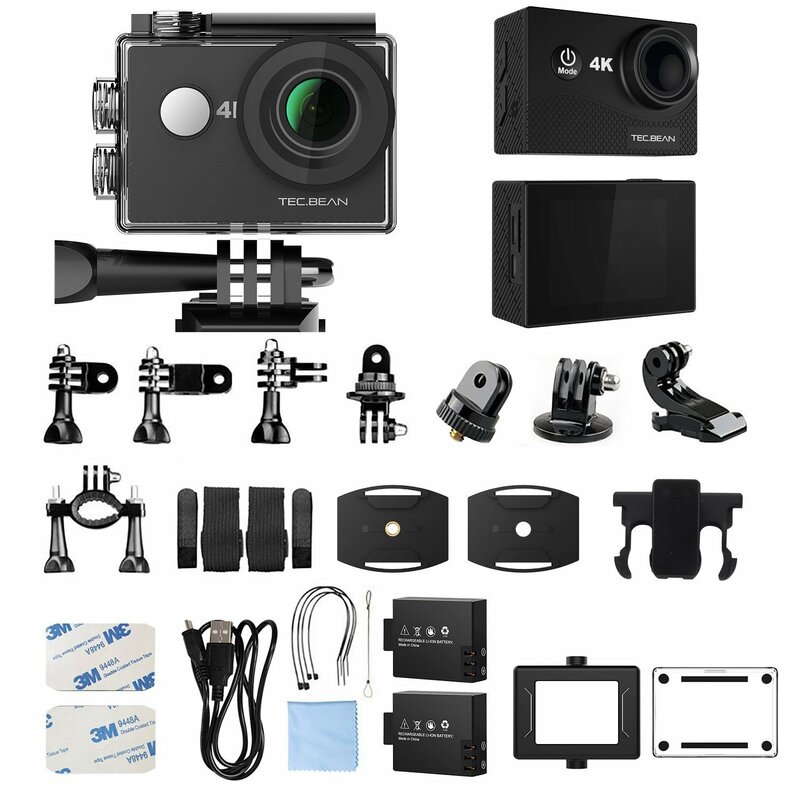 4K Ultra HD TEC.BEAN Action Camera: Records 4K 30fps & 1080P 60fps & 720P 90fps video with 16MP photos which is 4 times the resolution of traditional HD cameras. With 170 wide-angle lens , Capture and share your world in a fantastic way. 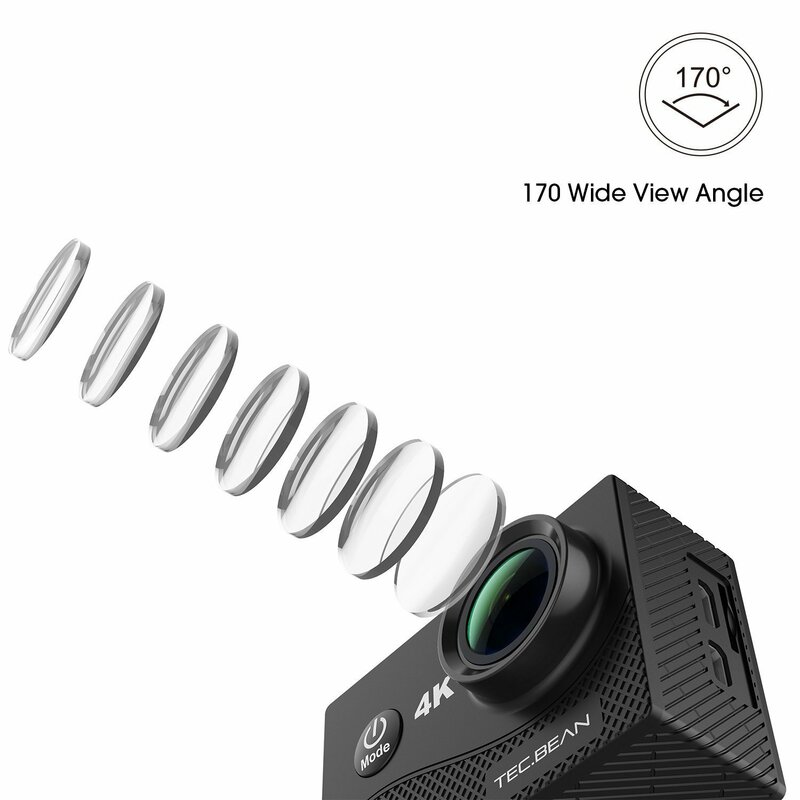 Video Capture: Your TEC.BEAN 4K Action Camera comes equipped with a professional grade SONY-179 sensor – A 170° Full HD wide-angle lens that enables fast and accurate motion capture – 2.0 inch LCD Display Screen which allows your to view real-time HD pictures and videos! 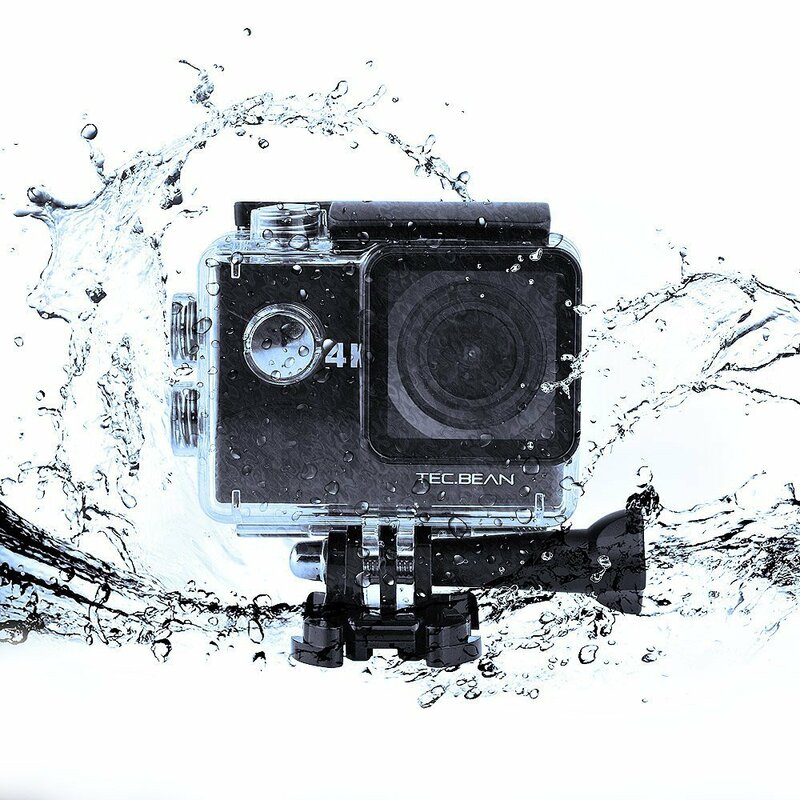 Waterproof: The coolest feature your TEC.BEAN 4K Action Camera has is that it can function perfectly in water up to a depth of 30 meters! The waterproof function makes this device ideal for water-based activities like surfing, snorkeling, diving, skiing/snowboarding, etc. 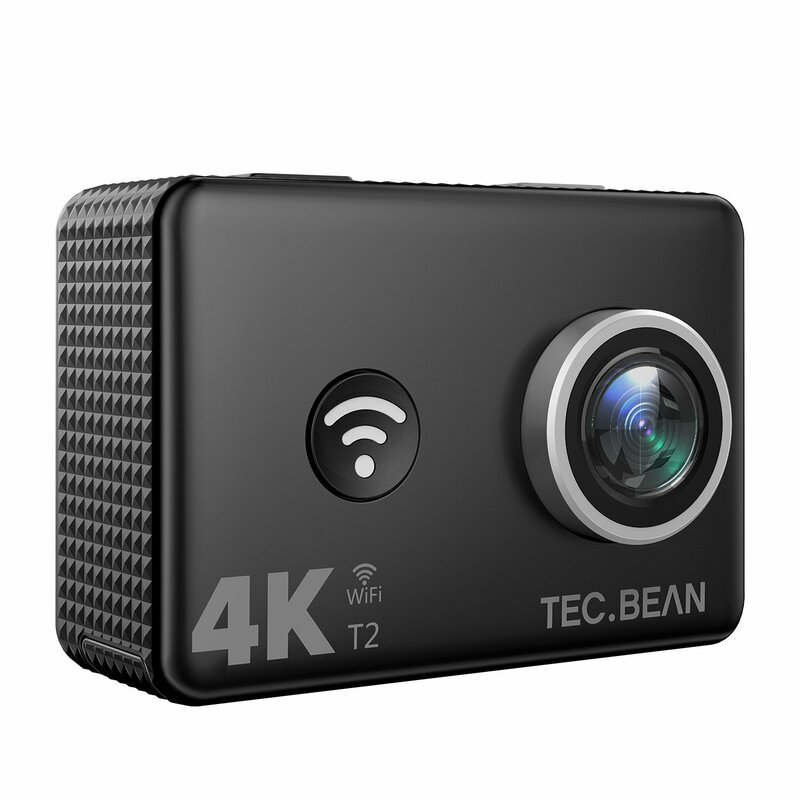 Built-in WiFi: Just download our App on your phone or tablet and connect with your TEC.BEAN 4K Action Camera. Then conveniently operate or review your images or videos via your Android or iOS device! 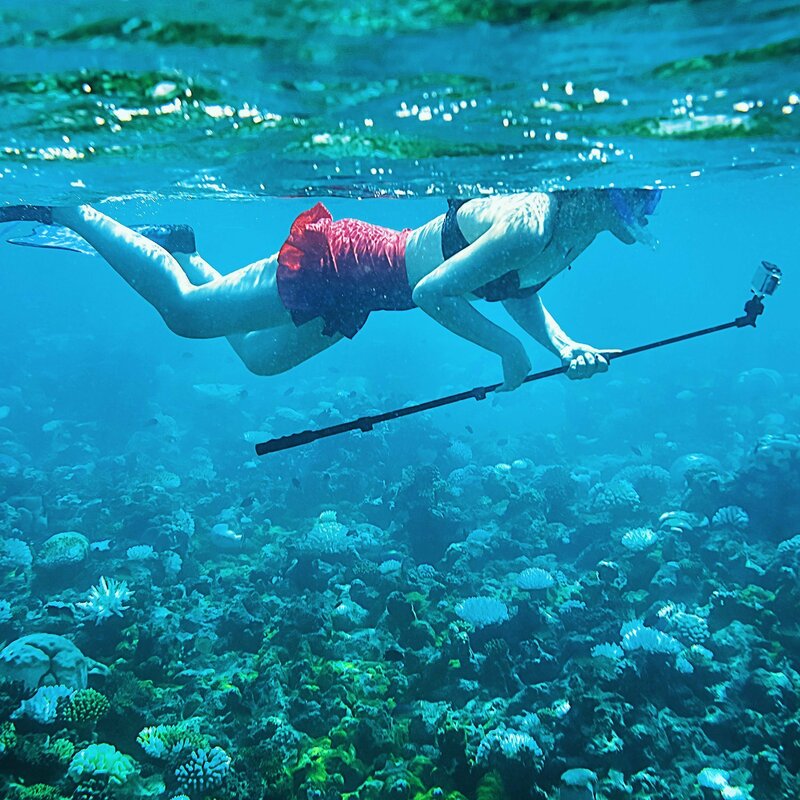 It’s time to take your TEC.BEAN 4K Action Camera with you wherever you go, so you can capture and share your world! Long Battery Life: TEC BEAN 4K Action Cam comes with 2 rechargeable batteries. Never run out of battery life again! Double your recording time and enjoyment now. 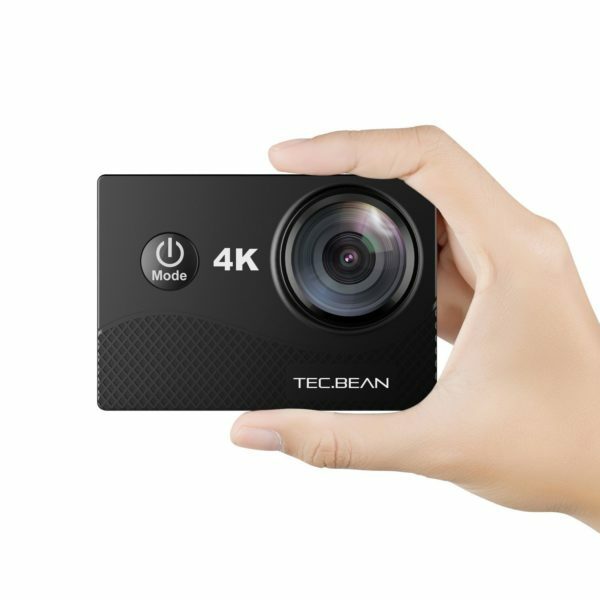 TEC.BEAN 4K WIFI Sports Action Camera presents an immersive footage of you and your world. 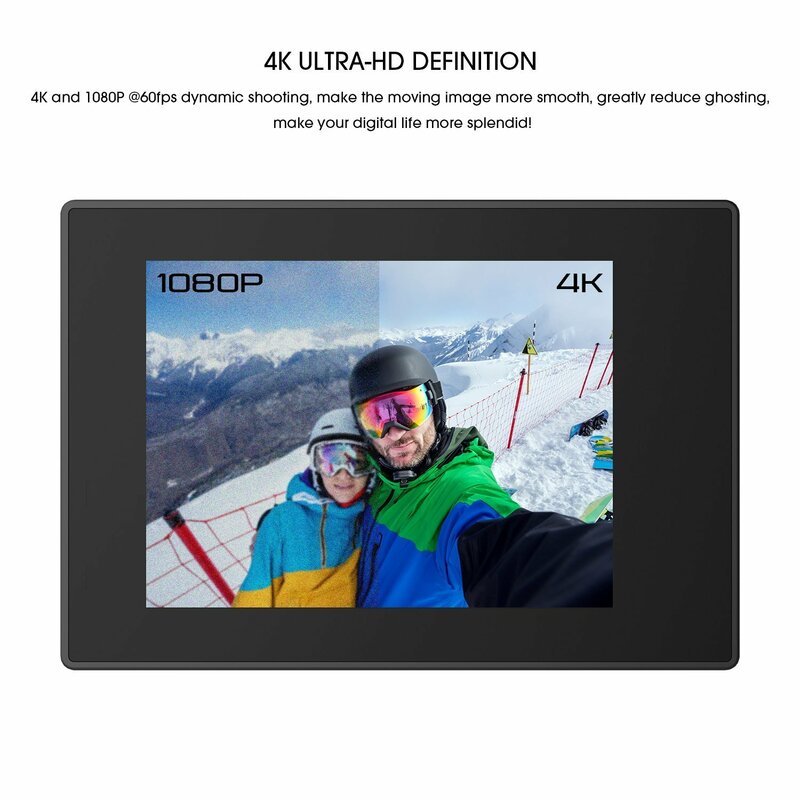 Records high resolution videos at 4k 30/1080p60/720p90 and capture 16M photos using our selection of photo and video modes including Timelapse, Slow Motion and Drama Shot. 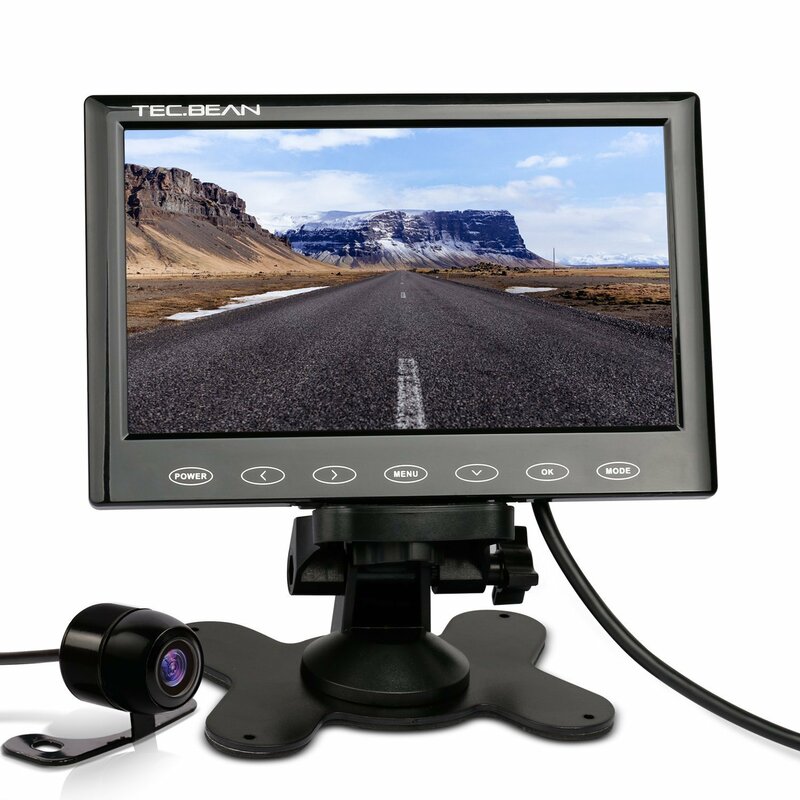 TEC.BEAN 4K Action Cam Let you be able to Captures the 170 degree wide angle perspective, through Wi-Fi connection and free app to control your camera anytime and every where even when it’s mounted on your helmet or in other place you can’t reach. 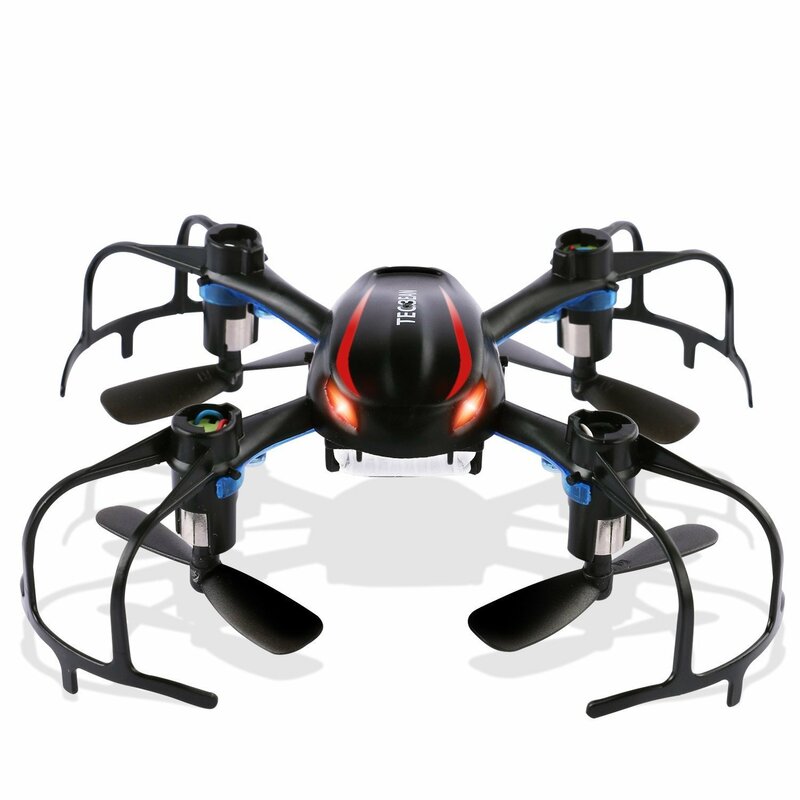 Anti- Shaking technology enable you shoot HD photos when you capture moving object. 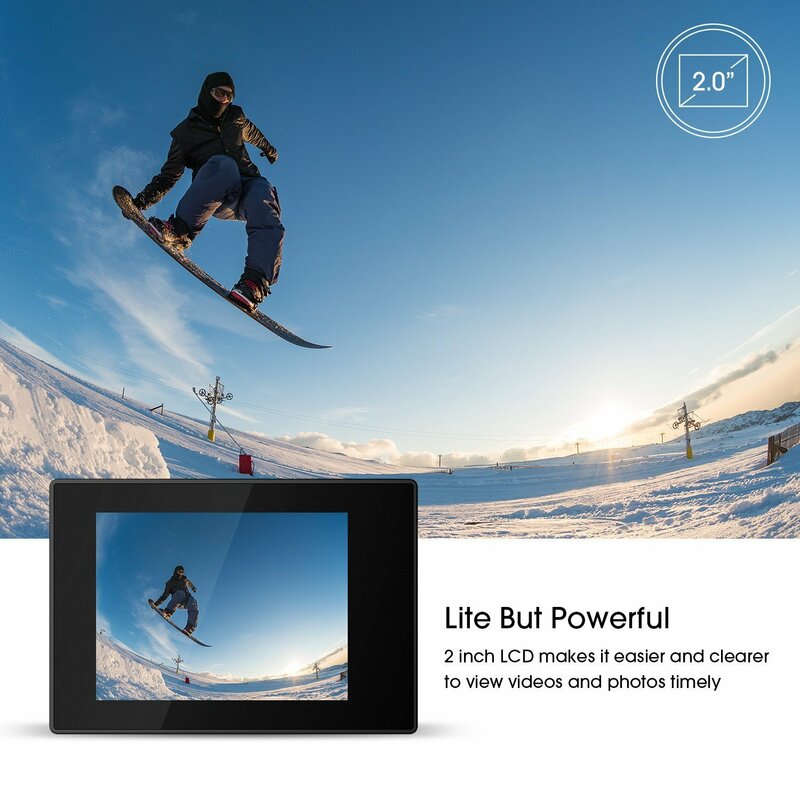 When the camera tilts, moves, shakes or experiences impact, the sensors uses image cross-border compensation algorithm to compensate the change and produce stable videos. Download the app and connect with your action camera and wifi, share your wonderful moments or picture to society media such as Facebook, Twitter, Pinterest.